5 months ago ago by Genesee Community College. 10 months ago ago by Genesee Community College. Genesee Community College student, Theresa Gray of Medina, NY has been awarded a special one-time scholarship from the National Association of State Procurement Officers (NASPO). For her hard work, Gray will receive $2,500 to be applied to her GCC tuition! 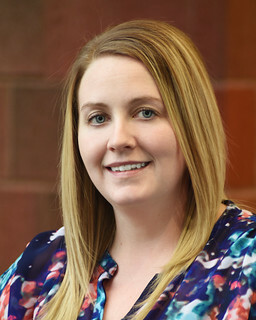 After graduating from Medina Central Schools in 2008, Theresa Gray (then Albone) worked for several years in early childhood education until she accepted an entry level position with Baxter Healthcare in 2010. She realized the significant career potential with the large, international company and decided to pursue an associate degree in Business Administration from Genesee Community College. Once she was in the program and taking classes at both the Medina and Albion Campus Centers, she was introduced to the online Supply Chain Management concentration and discovered that it would align perfectly with her interests in business forecasting and planning. One of the other benefits of Genesee Community College is the small class sizes with professors and instructors who know their students, appreciate their interests, and understand their unique challenges. When Dr. Rafael Alicea-Maldonado (RAM), GCC’s dean of the Math, Science and Career Education Division, and Dr. Lina LaMattina, assistant professor and director of the Business Programs learned of the $2,500 NASPO scholarship they actively promoted the opportunity with their students. As a working adult student who was also juggling family responsibilities, Gray was an ideal candidate. Established in Chicago in 1947, NASPO is a non-profit association comprised of the directors of the central purchasing offices in each of the 50 United States of America, the District of Columbia and the U.S. territories. NASPO helps members achieve success as public procurement leaders through promotion of best practices, education, professional development, research and innovative procurement strategies. 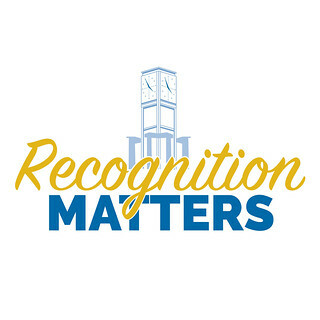 Gray’s scholarship award is part of GCC’s Recognition Matters series which highlights the accomplishments of the College’s faculty, staff and students. Officials at GCC have embraced this series as a way to acknowledge not only the achievement, but the high quality of individuals who demonstrate GCC’s “beyond expectations” brand.